“My 2 boys, ages 10 and 13 love the 14 ft Power Bounce trampoline with safety net and so do all their friends!! We also love it as a family and all play on it and around it including our puppy who loves to run around it and tries to catch all the jumpers (likes the shade underneath too). We added the basketball hoop which is a blast! Ladder is a must, especially for parents. Makes it easy to get on and play with your kids. It has gotten my kids off their video games and out in the yard even in the heat of Summer. It took over 4 hours to put together, but instructions were great! It is HUGE and takes up a large part of our yard, but we love it! 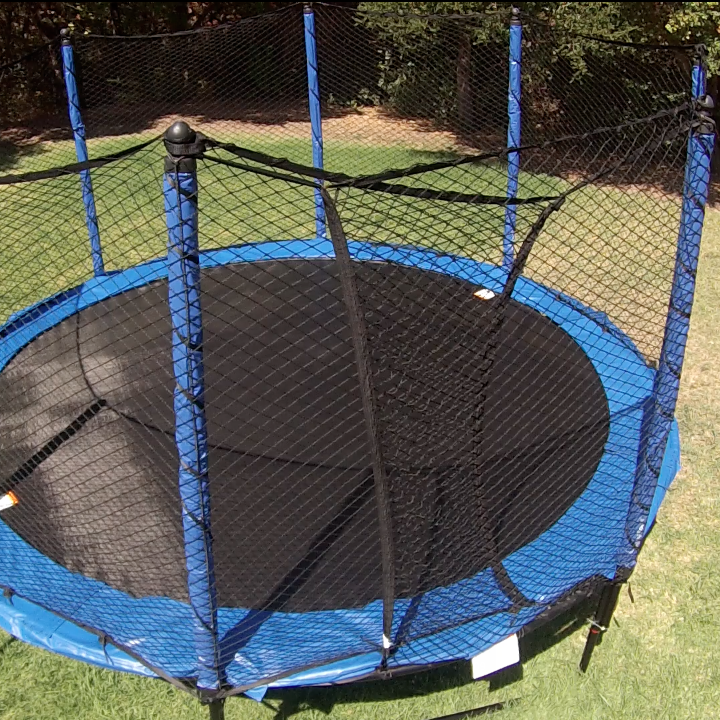 I highly recommend this trampoline.